Expect massive power savings with 4K video and a double-digit performance increase. 1. No, this is how you pronounce it. Intel’s 7th-gen CPU is pronounced “Kay-bee” Lake, not “Cabbie” Lake. But then again, we still can’t agree on how to pronounce DATA and SATA, so maybe we should just grit our teeth when someone says the name differently than us. Intel’s 7th-gen Kaby Lake is built on a similar 14nm process as the previous Skylake CPUs but tweaks to manufacturing give it a nice performance boost, Intel says. 2. It uses an improved process. 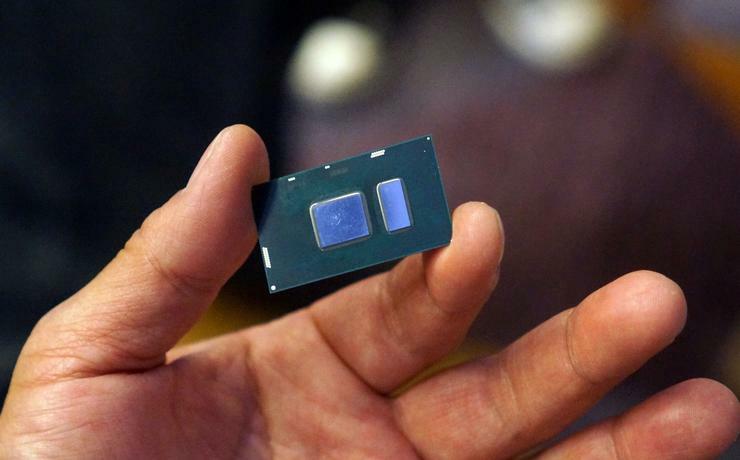 Kaby Lake is built on the same 14nm process as Skylake, but Intel says there were enough improvements to the manufacturing process to consider it “14nm+.” The upshot is that Kaby Lake CPUs can run at higher clock speeds than the equivalent 6th-gen Skylake CPUs. For example, while a Skylake CPU might have topped out at a Turbo Boost speed of 3.1GHz, Intel says its Kaby Lake equivalent can hit 3.5GHz. Intel’s 7th-gen Kaby Lake can now decode and encode HEVC video at 4K resolution with 10-bit color in hardware. 3. Watch video much? You’ll want Kaby Lake. While the x86 side mostly gets its boost from the process improvements, the video, or media, block engine in Kaby Lake gets bigger upgrades, such as hardware support for encoding and decoding 10-bit 4K HEVC video codecs as well as 4K VP9. Not a codec nerd? Intel says the upshot is that playing a 4K 10-bit HEVC video will offer a 2.6x battery-life improvement and cut power consumption from 10.2 watts on Skylake to 0.5 watts on Kaby Lake. If you watch 4K video on YouTube using the Chrome browser, you can expect 1.75x more battery life over a comparable laptop, and power consumption will drop from 5.8 watts to 0.8 watts. TL;DR: Mo’ better battery life for video freaks! Intel’s 7th-gen Kaby Lake CPU features hardware acceleration for VP9 video codecs, for an optimized experience playing 4K videos on YouTube when using Chrome. 4. No, seriously, video freaks will want Kaby Lake. Like a Ginsu knife, there’s more. Intel says it built the media block of Kaby Lake for where we’re going with video, not where we’re at. Kaby Lake machines, for example, can stream up to eight 4K-resolution AVC and HEVC videos simultaneously. That means a single tiny NUC-style PC could power a massive video wall of 4K TVs. Intel officials say the engine can actually decode 4K-resolution video at 60fps with a bit-rate up to 120Mbps. Kaby Lake also includes support for Microsoft’s PlayReady 3.0 and HDCP 2.2 DRM, so, in theory, if Netflix and Amazon decide to stream 4K to a PC, the pieces are now all in place for that to happen. 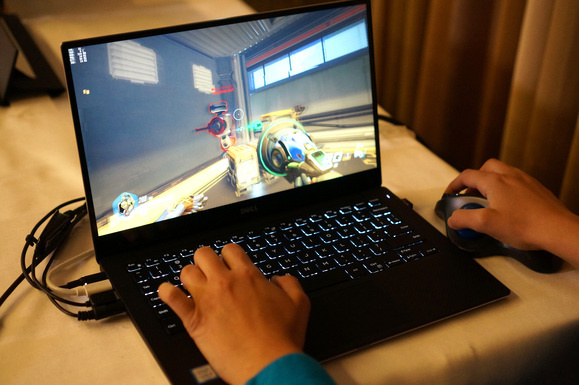 Intel demonstrated an XPS 13 outfitted with the new 7th-gen Kaby Lake CPU running the game Overwatch at 720p resolution and medium settings. We saw frame rates in the 30fps range. 5. It’s faster for games too, but... Intel says graphics are improved and Kaby Lake’s graphics are capable of running the game Overwatch at 1280x720 resolution on the game’s medium quality setting. In the demonstration I saw, frame rates were in the 30fps range, which ain’t bad. If you’re laughing because you have a GeForce GTX 1080 running Overwatch at a billion frames per second, just remember this was done on an Dell XPS 13 ultrabook, a dainty little laptop, so remember to put it all in perspective. Intel’s improvements to the 14nm process and under-the-hood tweaks show a significant boost in web browsing performance. 6. Aside from graphics, how much improvement can we expect? As I said, there aren’t any apparent big changes to the x86-side of the CPU. No cache buffs or pipeline changes. What’s amazing though, is that Intel is nonetheless claiming a healthy double-digit performance increase for CPU-related chores going from Skylake to Kaby Lake. In fact, Intel says that improvements made to its Speed Shift technology (which effects responsiveness to performance bursts) combined with the refined manufacturing techniques, will result in up to 12 percent better performance in office productivity and as much as 19 percent in mundane tasks like web browsing. That’s a pretty decent boost considering the lack of substantial alterations. Intel’s 7th-gen Kaby Lake will come packaged in a larger 15-watt package as well as the far more compact package typically used in 2-in-1 convertibles. 7. Core m7 and Core m5 are kinda dead. With the 7th-gen Kaby Lake, Intel is retiring the Core m7 and Core m5 chip nomenclature but will keep the model numbers. For example, today’s Skylake-based Core m7-6Y75 ran at 3.5 watts, 4.5 watts, or 7 watts. The Kaby Lake chip that replaces it will now be named the Core i7-7Y75 and will also run at 3.5 watts, 4.5 watts, or 7 watts. Intel’s official reason for the name change? Because it’s fast now, it deserves the Core i7 monkiker. I’m not totally sold on that explanation but Core m isn’t completely dead. Intel said it has plans to introduce a Core m3 version along with a Kaby Lake Core i3 to go with the four Core i5 and Core i7 chips. 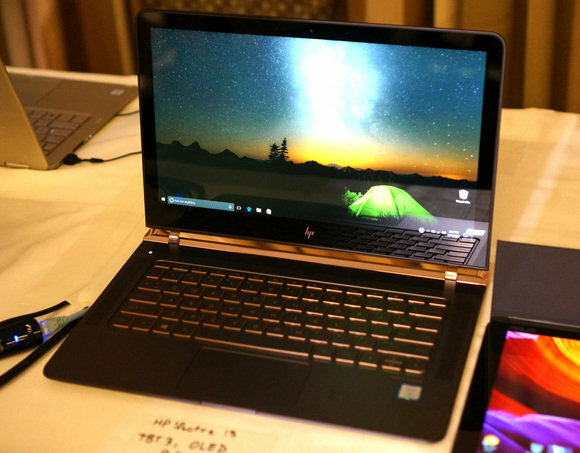 Laptops, such as this HP Spectre 13 with an OLED panel, will soon hit the streets with Intel’s new 7th-gen Kaby Lake CPU inside. 8. When can we expect the chips? Intel says to expect around 100 different makes and models of laptops using Kaby Lake this quarter. By next year, that will crank up to several hundred makes and models of laptops. 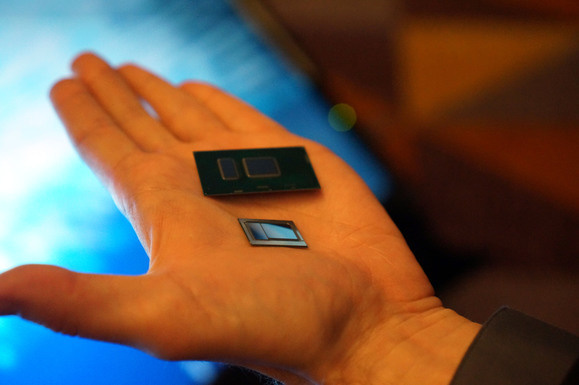 Following that, we’ll get quad-core “H” laptop CPUs and then the actual desktop CPUs will launch. Intel says desktop users will also benefit from the manufacturing refinements and the video engine improvements. Intel says its 7th-gen Kaby Lake offers improved Speed Shift technology, which gets the CPU from a low-power state to full-speed and then back to low-power faster than ever before. 10. What’s next? With Kaby Lake finally rolling out, Intel now moves on to the 8th-gen Cannonlake (yes, one word.) 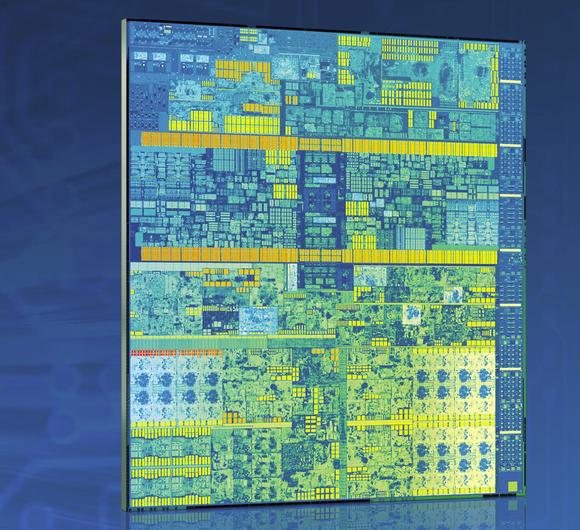 Cannonlake moves us from the 14nm manufacturing process that’s been used since the 5th-gen Broadwell to a 10nm process. Cannonlake was originally expected this year but all leaks point to it hitting at the end of 2017. The problem, it seems, is the size. Getting silicon working at 10nm isn’t easy; indeed, many believe we are nearing the end of Moore’s Law on silicon. 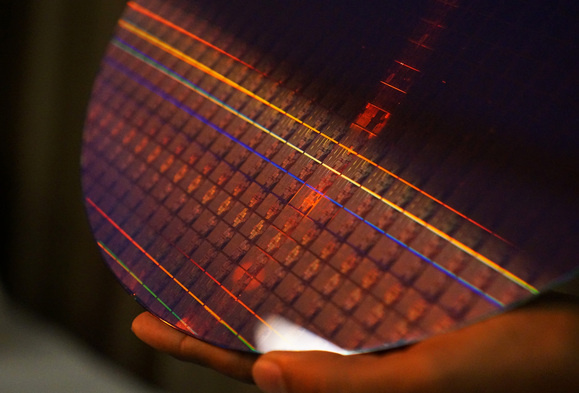 Intel itself has publicly said that going from 10nm to 7nm will be difficult and that it expects to move away from silicon for that jump.